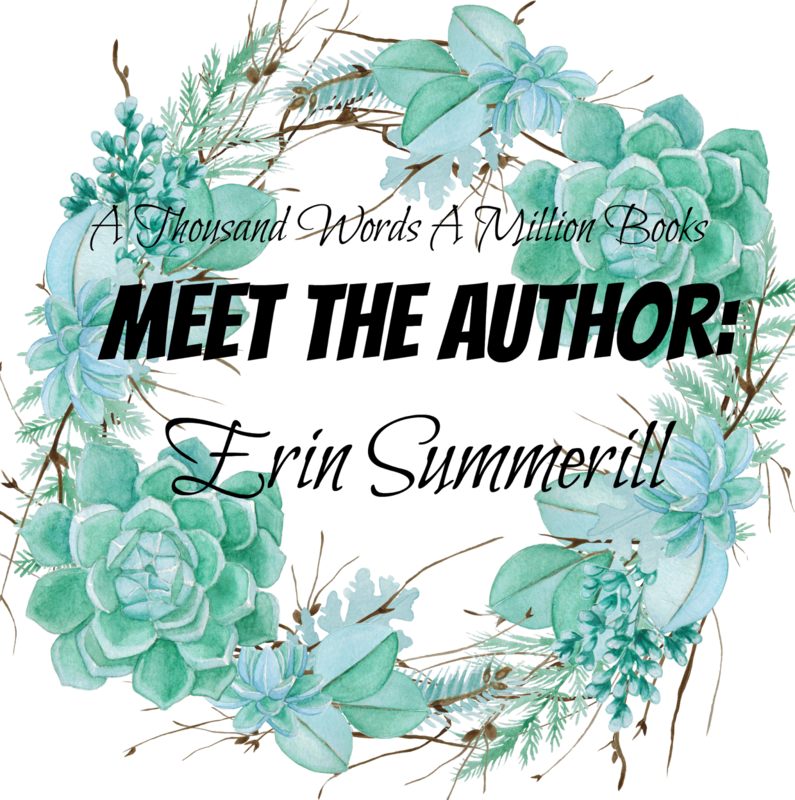 I have seriously forgotten what the number of this Meet The Authors post is, so I'm just going to say Welcome Back! 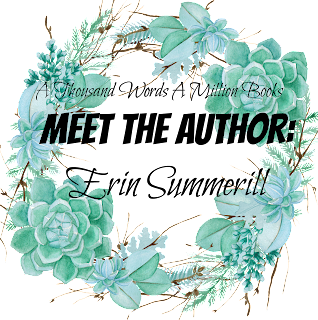 I still have six briliant authors coming on to the blog after today's author, and I hope you fall in love with them and their books as much as I have. 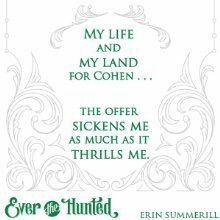 For today, I have the LOVELY Erin Summerill, author of Ever The Hunted! I've had an ARC of this book for a long time, and I'm going to start it any day now and I AM SO EXCITED. 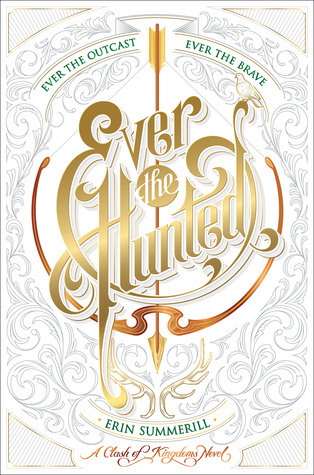 Ever The Hunted is about the lovely Britta Flannery, whose father, the bounty hunter is killed and she's tasked with finding his killer - the boy who broke her heart. I am SO excited (like I gushed earlier) about this book, and also at having Erin on the blog! Welcome, Erin, to a Thousand Words A Million Books, and thank you so much for being here. 1. If you could be stranded on a deserted island with one fictional character, who would it be? I would choose Katsa from Graveling!!!! She's the ultimate survivor and I know she would figure out a way for us to make it off the island alive. Also, she's fascinating. I would go to the 1800's Hawaii. It would help a lot in the research I'm doing for an upcoming project. 4. How did you find out you were getting published? My agent called me and said, "Erin, we have an offer." I don't know what he said after that because I started screaming, which then turned into ugly crying. It was the greatest day ever. 6. Where did you get the idea for Ever The Hunted? The idea came from a few different places. I've always been entranced by the Redwoods in California and the Oregon coast. After taking a family trip there, I wanted to set a book in a wooded setting. But I didn't realize I wanted to write about a hunter until my friend, Madalyn, confessed she was into hunting. While traveling to New Zealand with Madalyn, she spent 13 hours telling me about all things hunting. By the end of the trip, I knew my character needed to be proficient in the woods with medieval weaponry--thus, a dagger and a bow. It was a big step out of my comfort zone since I'm not by any means a hunter. I don't particularly like red meat. And my version of camping in the great outdoors involves a pimped-out travel trailer, showers with hot water, and food heated in a microwave. But I loved venturing into the Ever Woods with Britta. Hopefully you will too! Blurb Description: Seventeen year-old Britta Flannery is at ease only in the woods with her dagger and bow. She spends her days tracking criminals alongside her father, the legendary bounty hunter for the King of Malam—that is, until her father is murdered. Now outcast and alone and having no rights to her father’s land or inheritance, she seeks refuge where she feels most safe: the Ever Woods. When Britta is caught poaching by the royal guard, instead of facing the noose she is offered a deal: her freedom in exchange for her father’s killer.